WELLINGTON – Jamie Oliver is saying the New Zealand government could see an increase in revenues while also improving the health of children in the country by imposing a tax on sugar. The internationally recognised chef Jamie Oliver has struck out at the New Zealand government over its inaction towards implementing a tax on the sale of sugary drinks. Jamie Oliver’s criticism was delivered via a video which was recorded especially for the Fizz Symposium, which was held in Auckland on June 26th to discuss the possibility and practicality of a potential tax on sugary drinks. 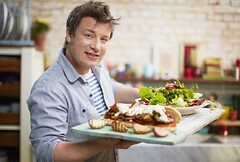 It was claimed by Jamie Oliver that the new tax would be “new money for the children of New Zealand”. He stressed that if a tax on sugary drinks was implemented, the newly raised funds should be earmarked and used specifically for new health programs in schools and also for sports programs for children. However, the New Zealand government has maintained its steadfast stance of not implementing a tax on sugary drinks, but “we are continuing to keep a watching brief on the emerging evidence and practice”.